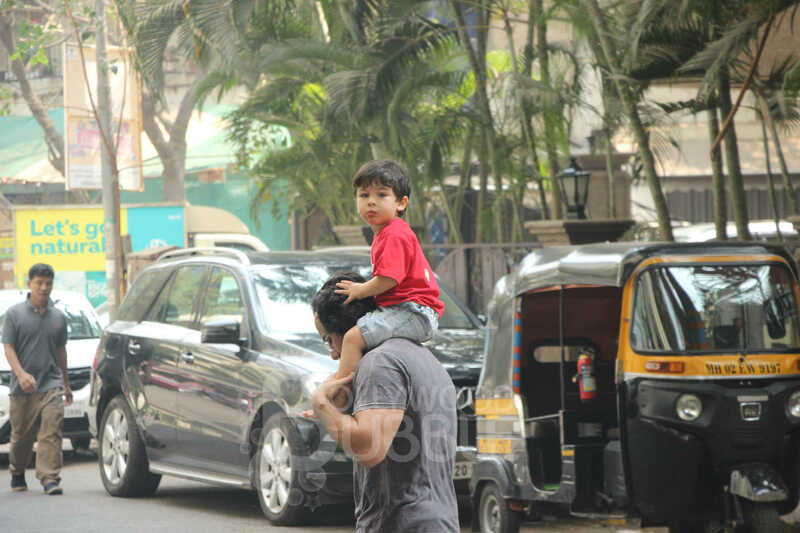 Little munchkin Taimur was seen taking a fun ride on his father's shoulder as they were spotted outside their residence. 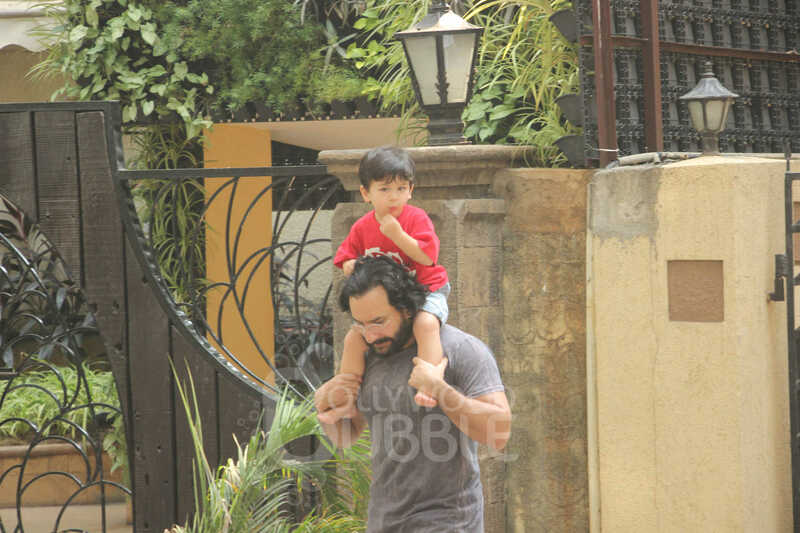 Sitting patiently on his father's shoulder, Taimur looked at ease. And look at those chubby cheeks. 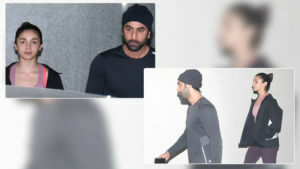 We just can't have enough of him ever. 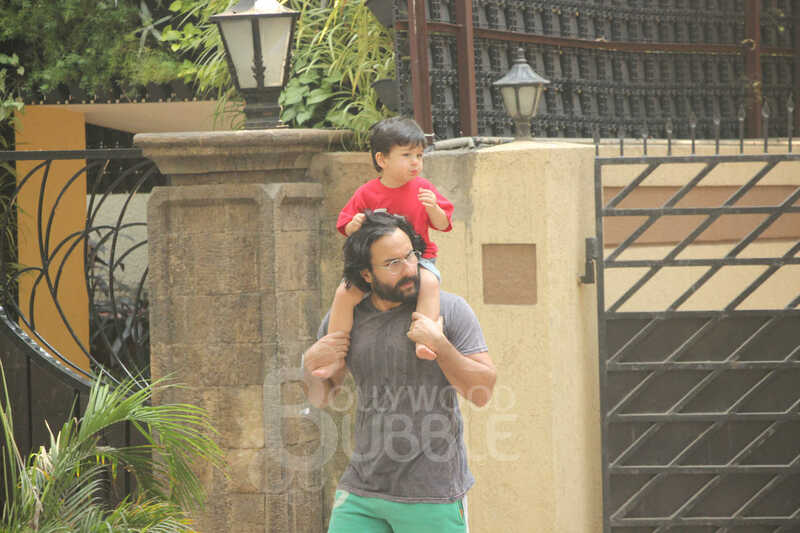 Dressed in casuals both the father-son duo went out for a stroll. 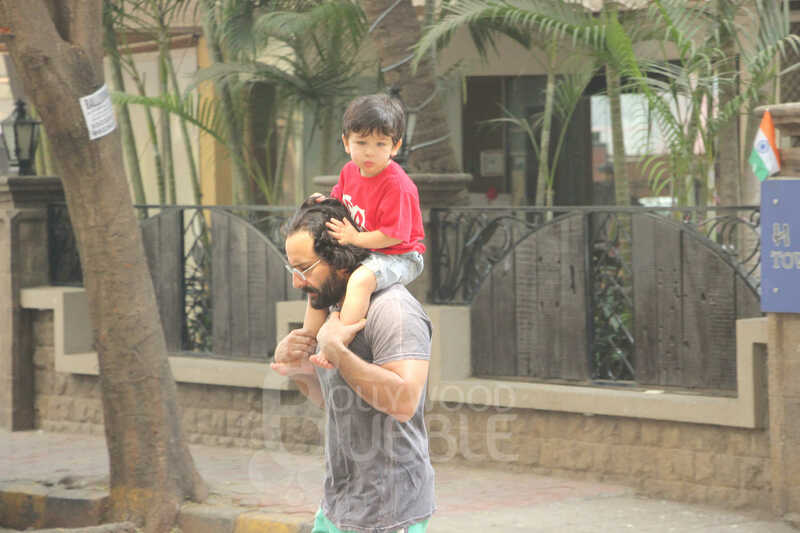 While papa Saif was busy crossing the road, Taimur's eyes caught the paparazzi gathered to click their pictures. 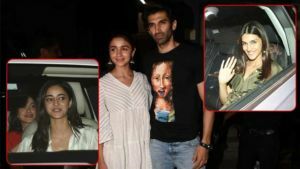 Ain't he looking all the more adorable on this fun ride? 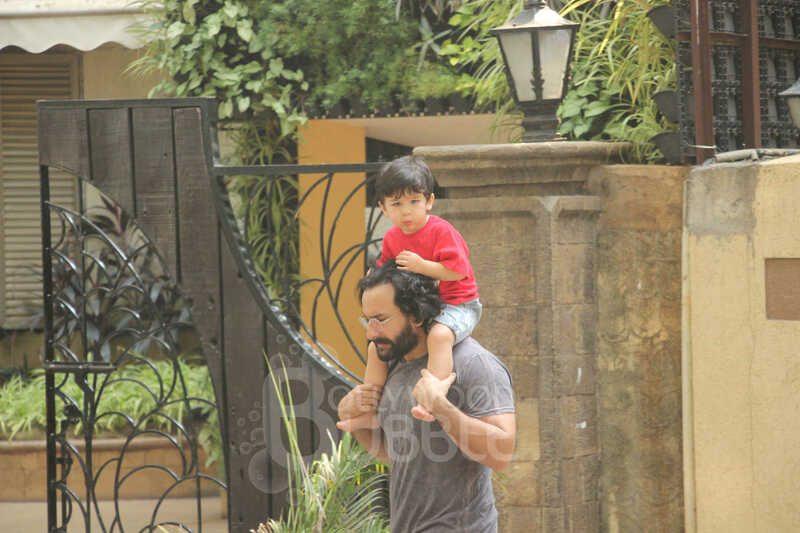 Really just a glimpse of Taimur is enough to make our day.